The combination of ranchland, farmland and just enough recreation/hunting land presents a property that should appeal to several interests. Parts of the ranch have been in the same family for over 50 years and their stewardship is evident. Much of the loamy sand ranch, besides that still under cultivation, has been farmed at one time and would lend itself to no-till introduction of winter forages, crabgrass and clovers. Too many times introduced forage ranches offer production but no “character”. The River Bend Ranch’s elevation changes of over 225 feet and the mosaic mix of savannah type timber cover and excellent wildlife habitat presents a pleasant combination with productivity and recreation value. ● Approximately 9 miles to Cleveland and 12 miles to Hominy. ●Tulsa is less than 50 miles; about 50 minutes driving time. ●Oklahoma City is approximately 120 miles and about 2 hours driving time. ● 3 bedroom home of app. 1960 sq. feet built in 1967. ● A large shop and equipment storage building. ● Garage and carport near the home. ● Bulk overhead feed storage bins, approximately 50 tons. ● Garage and storage on north portion of the ranch, previously the location of a trailer home, with water and septic in place. 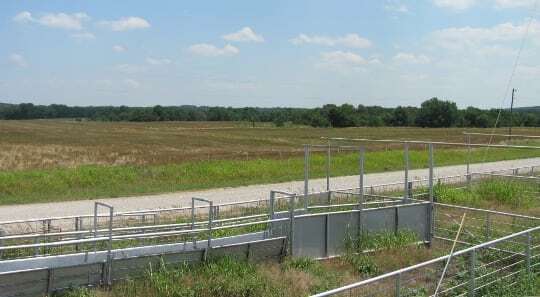 ● Steel corrals at the headquarters and on the East side to facilitate handling cattle grazing wheat pasture or other crops on the farmland. ● The perimeter fencing is in excellent condition as well as the several traps near the headquarters. 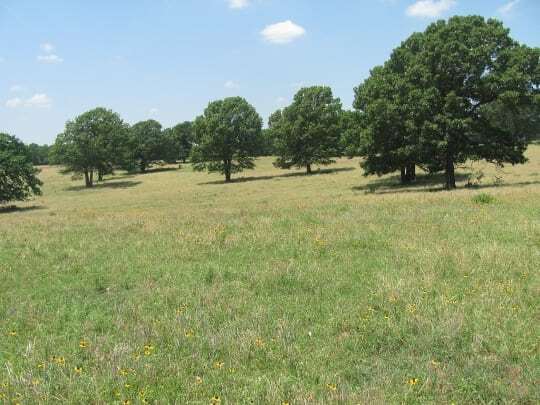 ● Approximately 460 acres of the pastureland has aBermudaforage base with a savannah type timber cover. 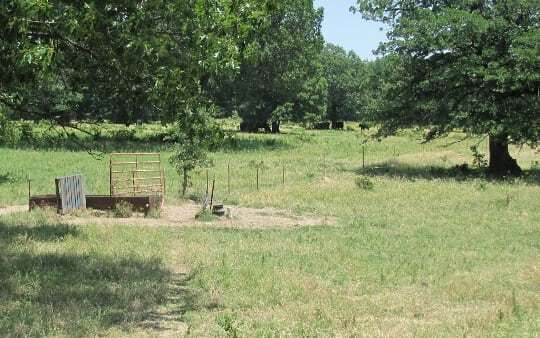 The remaining acreage is significantly heavier timbered but does offer small areas of grazing and livestock protection while providing excellent wildlife habitat. ● The 170 acres of farmland is located in one tract and has a 130 acre wheat base with the balance containing timber and small open areas next to the Corps of Engineer land for Keystone Lake. 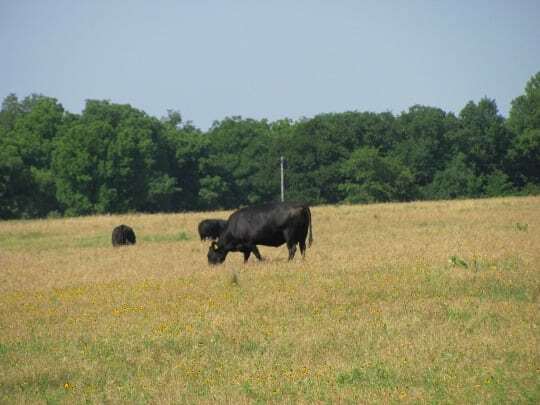 The farmland is currently cash rented with the ability to utilize the grazing from the wheat when available. ● Over 200 acres of the pastureland was previously farmed while much of that on the slopes was cleared of timber beforeBermudawas introduced. The pasturelandBermudabase is excellent on the sandy soils for erosion control and as a base for introducing annual ryegrass, crabgrass, fescue and several varieties of clover. 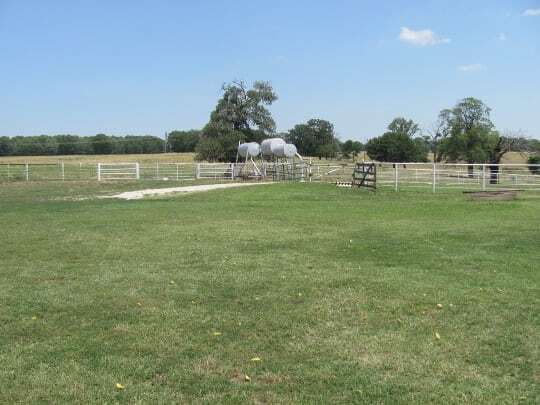 ● Over the approximately 50 years of ownership, the ranch has been managed with a conservative approach and currently is stocked with about 100 cow/calf units. ● Ownership admits that a more aggressive management program could enhance the carrying capacity. 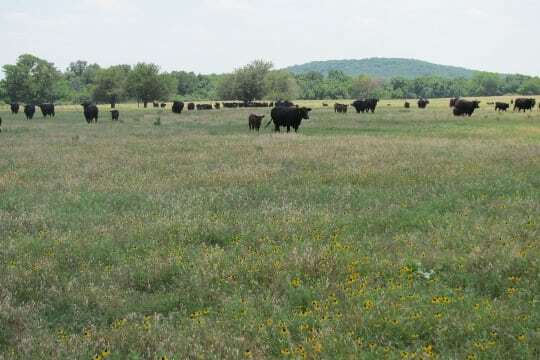 Increased fertilization, introduction of other forage species or even the utilization of the ranch as a stocker operation, are options that are available. 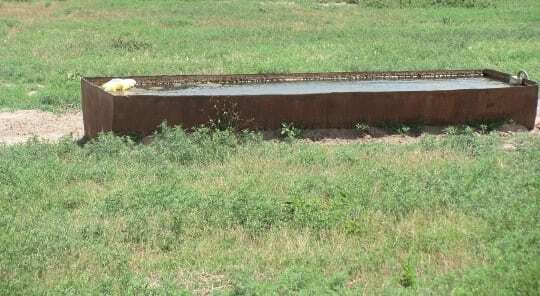 ● The four water wells and the underlying water base are truly strong points of the ranch. 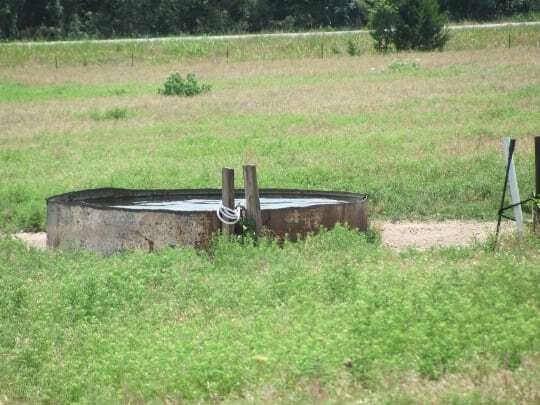 Fresh water is available or can be provided in all the pastures and provides water for the home and headquarters. ● Irrigation is an option on the farmland and a significant part of the pastureland. ● There are several ponds on the ranch and they would appear to derive some of their water from springs. ● The land is not considered to be in a flood plain although there is a small area of flood easement in a drainage area underCounty Road5150. ● As was previously mentioned, the timbered areas provide excellent habitat for the deer and turkey that are prevalent in the area. This habitat is only enhanced by the ranch location next to the Keystone Wildlife Management Area. 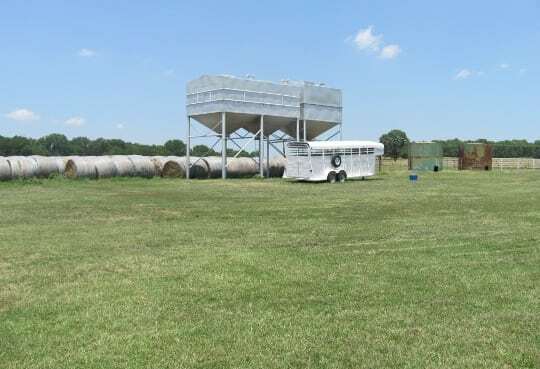 ● The ability to observe game and non game wildlife is just or more important than the opportunity to hunt; this ranch will satisfy many of those desires. ● The varied terrain and variety of timber and open provides the opportunity for ATV use by young and old. ● The ranch location will qualify for Accelerated Federal Income Tax Depreciation if it is extended. The depreciation incentive provides a shorter recovery period of approximately 40% for most non-residential depreciable property. 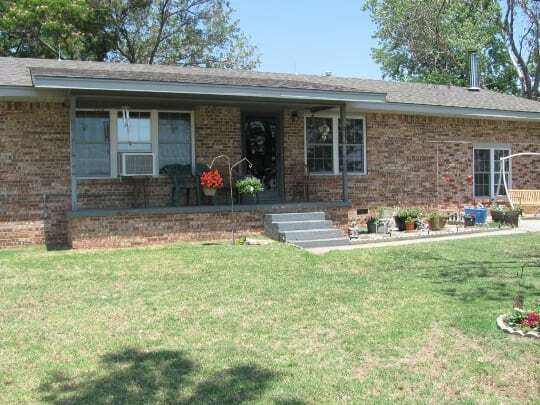 ● Property is located in Osage County therefore transfers as surface only.